One of the most popular smartphones currently available is the Samsung Galaxy S, a high spec handset running Google’s Android operating system. It comes in several flavors, depending on your territory and mobile phone network – along with the basic version Samsung has released a 4G variant of the Galaxy S for users to access high speed mobile Internet services. In addition, several variants of the basic Samsung Galaxy S have been released for different mobile phone carriers. The Mesmerize, Fascinate, Continuum and Captivate are all basically the Samsung Galaxy S with a different name and carrier branding, and feature more or less the same hardware specification, operating system and features. There are subtle differences though, and you can learn about them here. Most smartphone users will know that their devices are capable of much more than just making calls and sending text messages, and the Samsung Galaxy S is a prime example of such a device. Thanks to the Android operating system these phones are easy to use, and with access to the Android Market you have a choice of some of the top mobile phone apps currently available. As with any mobile phone you will probably be interested in finding the best applications, as well as uncovering any useful tips and tricks. General user guides are great for this type of information, offering tips on subjects such as customization and battery management. As with most smartphones, the Samsung Galaxy S was introduced as a potential competitor to Apple’s iPhone. Samsung is one of the few companies with the ability to challenge Apple in the smartphone arena, which is why this device features such a great hardware specification. A big name phone like this is bound to attract comparisons from many other devices and there are plenty available; how does the Galaxy S compare with the Nexus S or the Motorola Droid X, for instance, or its successor, the Galaxy S II? If you’re in the position of looking for a good quality smartphone and have the Samsung Galaxy S as one of your choices, don’t forget that this piece of mobile technology comes in various alternative guises. It is worth checking out just how these variant releases compare with each other to get the best idea of which model you should choose. Samsung Galaxy S vs. Samsung Galaxy S2 – What's Different? 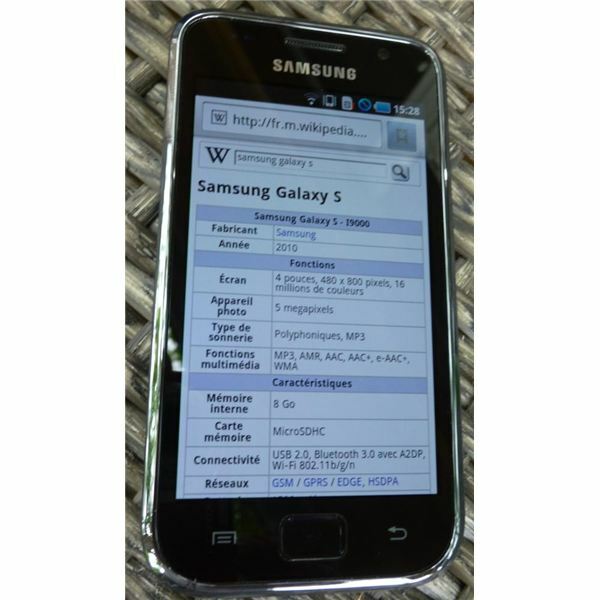 By default the Samsung Galaxy S will ship with the Android 2.1 version of the popular mobile operating system. For most users this should be fine, but if you’re keen to get the best apps and squeeze every last ounce of performance out of your Samsung then you should consider one of the upgrades that are available (depending on your network). There are several ways in which you can do this, but the most obvious is to check your phone for available upgrades and perform the task as specified by your mobile network. The alternative is to install the update manually; either way, you will need to connect your phone to your computer, and this will mean installing the right drivers for your Samsung smartphone. If you have found your way to this page out of interest in buying the Samsung Galaxy S, there are various things that you should know and be aware of before making a purchase. For a start off, you should be checking out what accessories are available for the phone; if you are planning to use Google Navigator on your new Android phone, for instance, you will need a dashboard or windscreen mount for your phone as well as the usual case and screen protector. It would also be a good idea to be aware of the various price insurance plans that are available for your intended phone, not to mention the alternative versions that have also been released.